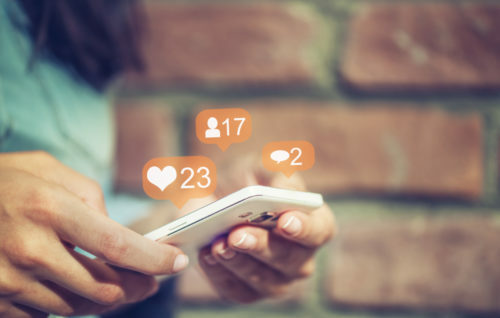 Many within the LGBTQ community use social networks as well as apps designed for dating to connect and share resources, but a recent survey shows that social media use may also be tied to feelings of depression and loneliness. The survey involved 143 students — 108 women and 35 men — at the University of Pennsylvania. Researchers divided the students into a pair of groups: one had their time on social media limited, while the other was allowed to continue to use social media as they saw fit. Those whose time was limited were allowed no more than 30 minutes between Facebook, Instagram, and Snapchat each day. At the end of three weeks, those who were limited in their social media time were found to have fewer symptoms of depression as well as a lower score on the UCLA loneliness scale. “The intervention was most impactful for those who started the study with higher levels of depression,” reads the study, published in the Journal of Social and Clinical Psychology. “Subjects who started out with moderately severe depressive symptoms saw declines down to the mild range by the simple expedient of limiting social media use for three weeks. Positive gains were also found in anxiety as well as the fear of “missing out.” The group that was limited, however, did not show any change regarding feelings of social support, self-esteem, or psychological well-being. The study is not without its drawbacks. First, researchers were only able to monitor the usage of social media on cell phones, and were not able to keep someone from turning to a computer or a friend’s phone. Furthermore, it did not limit the use of other social media sites, such as Twitter, Tumblr, or Pinterest. It was also limited to iPhone users only. Further the study did not appear to correlate their findings against other demographics of the students, such as race, sexual orientation, or gender identity.